The Tower of London was extremely important during the Middle Ages. William the Conqueror started building on the site soon after the Norman Conquest, and was often enlarged and modified by subsequent English monarchs, in the Middle Ages and later as well. 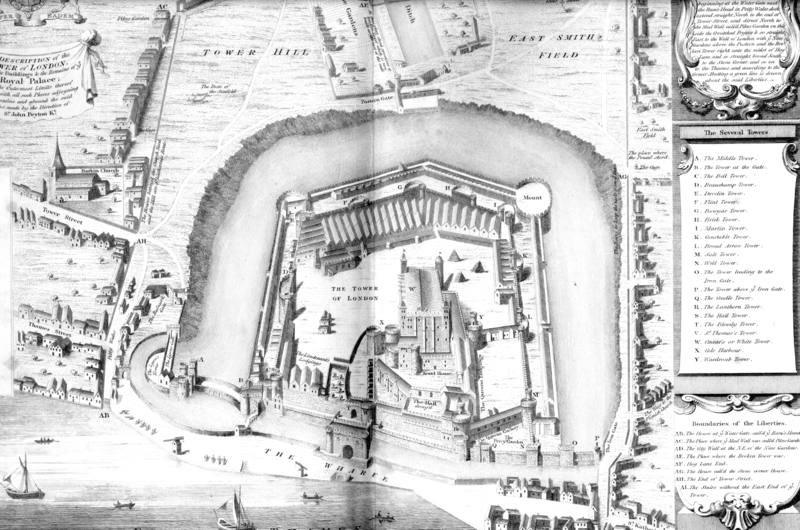 It served as fortress and arsenal to protect and control the city of London, royal residence, prison, and symbol of royal authority. It had other, miscellaneous functions as well- for example, the Lion tower housed the royal menagerie until 1834. 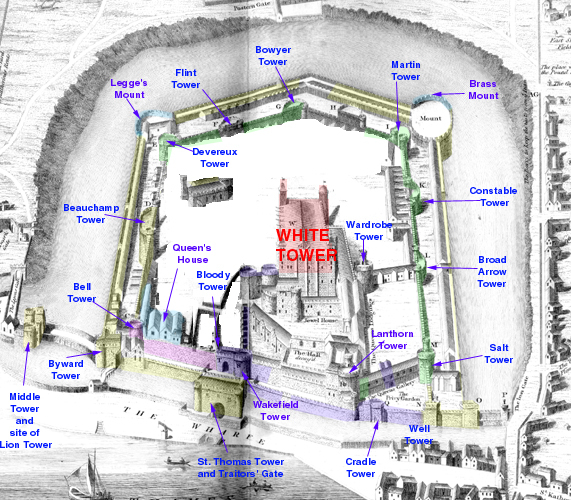 Though the large Norman keep, called the White Tower, retains many of its original architectural features, the rest has been so enlarged, modified, and restored that it is hard to make generalizations about its architecture. Below is a general map showing some of the main medieval building campaigns. However, since the problem is so complex, it should be used only as a very general indication- if you are interested in the details, please look at some of the works in the bibliography below. Adapted from the The Tower of London, Ministry of Public Building and Work London, Her Majesty's Stationary Office, 1967 using a 1821 engraving from John Bayley, The Histories and Antiquities of the Tower of London with Biographical Anecdotes of Royal and Distinguished Persons. London: T. Cadell, 1821. Click here to get the original version of the 1821 map (Note- it is a very large file and will take a long time to load). Dixon, William Hepworth. Her majesty's tower / by William Hepworth Dixon London : Bickers, 1885. Minney, Rubeigh James. 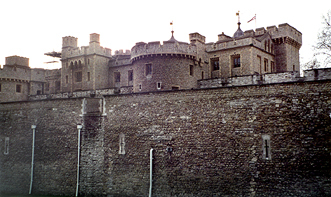 The Tower of London / R.J. Minney. Englewood Cliffs, N.J. : Prentice-Hall, c1970.